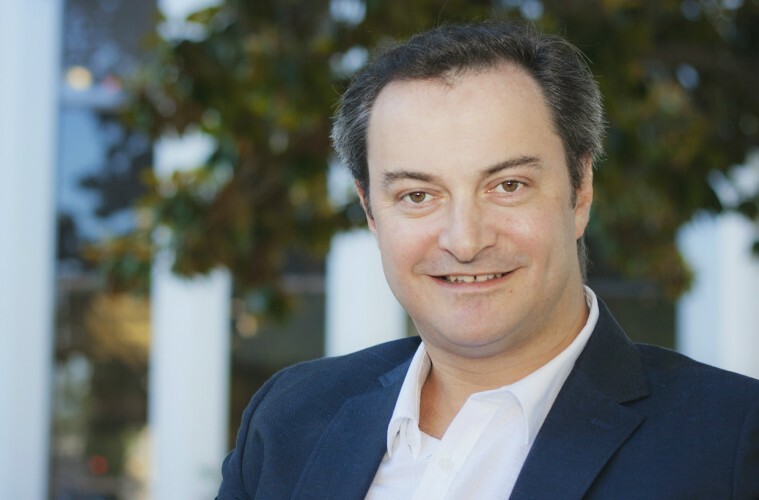 Great interview with Jonathan Reichental @Reichental Award-winning Chief Information Officer (CIO) of Palo Alto, CA @PaloAltoCIO. Named #1 CIO on Twitter in Govt. Professor @usfsvi. Top 25 Innovator in Govt. You can hear him speaking at this years upcoming Dublin Web Summit. I caught the technology bug at a young age because my older brother bought a Commodore Vic-20 when we were kids. The first time I wrote a few lines of code and made the color of the TV screen randomly change, I was hooked. After graduating from college, I worked with my brother for a while and together we grew a small computer company. This was before email and the Internet. After a few years I had an opportunity to move to and work in the United States. It was the late nineties and the US economy was booming. Technology was doing particularly well as companies began to prepare for Y2K (the rollover of computer clocks from 1999 to 2000 which was feared could wreak havoc across the world). For the next few years I held different technology roles each with increasing leadership demands. During that time I also went back to school and earned three more degrees including a Ph.D. in Information Systems. In 2010 I became the Chief Information Officer (CIO) of O’Reilly Media, just north of San Francisco. About a year and half into that gig I was approached by an executive recruiter to explore my interest in being the CIO for the City of Palo Alto. While I wasn’t necessarily thinking about a role in government, the more I learned about the opportunity, the more it just made sense for me. The timing was serendipitous. While they had been simmering for some time, urban technology and civic innovation were about to emerge as major categories of interest and investment in the global economy. Every generation says it lives through remarkable times. But I really do think we live in the most incredible of times. The rate of innovation in our daily lives is astounding. In large parts of the world, humans now live in highly developed environments with economics that enable completely new capabilities to be introduced every few months. Think new smartphones and self-driving cars as examples. We’re digitally connecting the human race and shrinking the planet. We’re moving people, goods, and ideas at a scale unimagined. We’re beginning to unlock the secrets of the human body and solve the mysteries of disease. And while it sometimes doesn’t seem like it, the world is more peaceful and people are freer than in all of human history. Rather than a future of scarcity, we’re headed for a future of abundance. Of course, I recognize that we still have a long way to go and too many people continue to suffer and be in need. However, the trajectory is positive. We now live in an environment where the question isn’t necessarily if we can do something. Rather, the question is whether we should do something. Our software and hardware is at a point of being remarkably empowering; both to users of that technology and to innovators of that technology. Right now I’m particularly interested in urban technology; the stuff that can make our cities function better so that communities can have a higher quality of life. Can we make our cities smarter? How can we reduce traffic; perhaps even eliminating the need for many people to own cars? How can we move from carbon-fueled economies that are messing up the environment to carbon-less power that is clean and abundant? We’re participating in that change seeing particular momentum gather around solar power. If the innovation is related to building smarter cities, I’m interested in it and ready to experiment with it. We’ve had a great 12 months. Our first couple of years as a City technology team was in the forming and norming stage. We had to hire new talent and put processes in place. It takes time. Then, assuming you get things right, you begin to move to the performing phase of your team. This has finally happened for us. What I observed in the past 12 months was a team with the right skills, tools, and processes, to move more quickly on innovation and to delivery it at higher quality. It’s been a privilege to be a part of that. I’ve also been thrilled to be asked to share our successes with public agencies across America and sometimes internationally. For example, with the success of our community apps challenge, I wrote a book on it so that anyone could do the same thing. You can download it for free here. I’m most happy that we’ve been able to make a difference. When I first joined the City of Palo Alto, there was tremendous doubt that I could take the skills and experiences I had from the private sector and apply them in a public sector context. There was a fear that I would get beaten down by bureaucracy and constraints. And while many of those qualities did and do continue to exist, through leadership support and the passion and creativity of my team, we’ve shown what is possible at the local government level. I’m optimistic about the future. I got lucky by choosing to spend my career in technology and organizational leadership. These are rapid growth areas. I won’t try to predict with specificity what the next few years may bring for me, but I know that I’ll be focused on doing meaningful and valuable work. I have to love what I do. I need to have an urgency to my work. I have to work with smart and passionate people. That’s where I’ll be. You have a lot of interests, how do you manage them all? Isn’t the world amazing? It’s hard not to be fascinated by our universe and the human experience. I’m also conscious of the fact that each of us has such a short amount of time on our little rock hurtling through space. This is what motivates me. As a result, I read a lot, try many new things, and travel as often as I can. I end up having quite a few interests. Just like work though, for me it comes down to prioritization and motivation. I’m clearly not pursuing all my interests at the same time, but over a long period, I get to do lots of things that are interesting to me. Scott Eddy talks about your personal brand being your most important asset, what’s your take on this? It’s important, but it’s also a personal choice. Everyone has to do what’s right for themselves. From my perspective, we live in an increasingly hyper-competitive environment, so every quality matters in raising oneself above the pack. Having a trustworthy and defined brand is an asset. Social media has been an incredible enabler, but brand extends beyond that. Every interaction you have with a person is an opportunity to define who you are. One thing I’ve learned is that every person you meet matters. Treat everyone with respect. You never know the role they may play in your future. Well done on your top CIO in Govt ranking! What sort of things did you do well to achieve this honour? I may have touched on this a little earlier. If I was going to be successful in local government, I knew I’d have to do many things differently. Always challenging the status quo; asking tough questions; and experimenting, we’ve been able to make things happen in a positive way. Take, for example, our project to initiate an open data portal for the City of Palo Alto. Old school would tell you that a project of this size and complexity would take 12 months and six-figures to complete. We did it in 6 weeks and less than $10K. How? By employing a lean start-up methodology taken from the start-up community and finding a partner who wanted to experiment with us. I’m probably going to be talking about the future of cities. Do you live in a city? If you do, you’re going to enjoy my talks. This is why the topic of civic innovation is so cool. The topic is important to almost all of us. It’s personal. Hate traffic? Want a cleaner and healthier city? Want more economic opportunities? Want more innovative city services? If these are topics you’re interested in and I bet they are, I think my topic will appeal to you. We need a way for our current technology to provide us all with a more diverse set of perspectives and ideas. The way things are right now, people are getting a biased view of the world. Our apps and web services are responding to the things we believe in and are only interested in. That’s not a good thing. It’s creating more polarization in our society at a time when we actually need more thoughtful and informed perspectives. I have no balance. It’s painful. I’m hooked to my smartphone. When I figure out a strategy to manage it, I’ll get back to you. I’m happy to answer any questions or comments from your readers through Twitter: @Reichental. Cheers.